World of Warcraft is coming up on ten years old—an entire decade—and despite some steep drops in player numbers recently, the game is still going strong. So strong that it's getting its fifth expansion, Warlords of Draenor,later this year—November 13, to be exact, as Blizzard revealed during a special event Thursday. The expansion will cost you 50 dollars for the standard version, or you can shell out 70 for the deluxe edition, which comes with some additional premium in-game items. 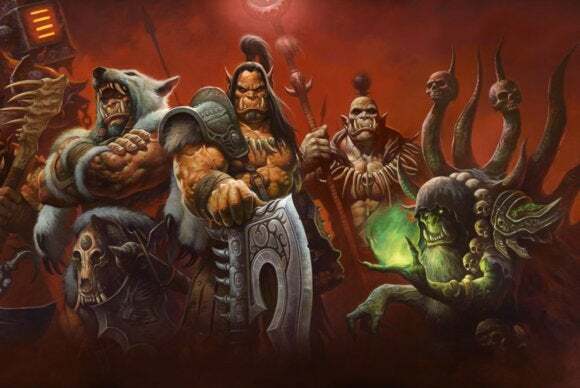 The new expansion takes players to Draenor, the ancient land of the Orcs, to battle the Iron Horde. And there's time travel involved, or something. In addition to the story content, the game is getting a graphical overhaul. It's still not going to look incredible, but Blizzard has gone in and revamped character models to look more in line with modern games. Blizzard's adding an entire stronghold system, allowing you to own your fortress and build it up into a formidable resource. You can even garrison your fortress with troops. Finally, the expansion also raises the level cap to 100. And if you want just to jump into World of Warcraft for the first time, or you want to start a new character and experience the new content, the game will also allow you to boost a character up to level 90 instantaneously. Is it enough to get you back in? Will you be re-upping to Azeroth in November? Let us know in the comments.